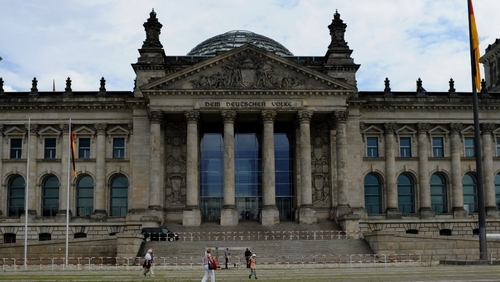 A Department of Finance spokesperson has denied that the German parliament has been given Budget documents before they have been revealed to politicians here. This follows a Reuters report that the budget committee of the Bundestag had been given a document outlining Government plans to increase VAT in next month's Budget. According to Reuters, the document involved is called "Ireland: memorandum of economic and financial policies". It was attached to a draft "Letter of Intent" from Finance Minister Michael Noonan and Central Bank Governor Patrick Honohan to the International Monetary Fund, the European Central Bank and the European Commission. The draft letter was not signed by either man. It was dated November 2011 with a space left for the exact date. A Department spokesperson stressed that no final decisions had yet been taken on the measures to be included in the Budget on December 6. Reuters earlier said it had obtained the documents, saying they showed that the Government would increase the top VAT rate by two points to 23% in next month's Budget. It said the rest of the €1 billion the Government was targeting in new revenue measures would come through indirect taxes. 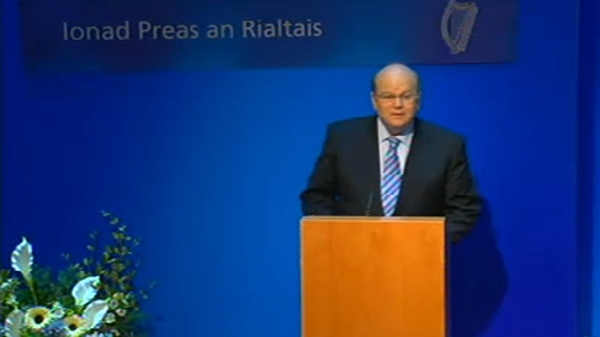 It is understood the document is a draft from the EU/IMF/ECB troika related to Ireland's upcoming Budget. Irish ministers, however, have not yet signed off on the document. Officials have indicated that the Irish Government is concerned about the contents of confidential documentation making its way into the public domain. Asked about the report, Public Expenditure & Reform Minister Brendan Howlin told RTÉ radio that no final decisions on any element of the Budget had been made, and the Budget was a "work in progress". The Government is committed to making budgetary adjustments of €3.8 billion for next year under its EU/IMF bail-out and Finance Minister Michael Noonan has said he will not reveal the exact measures until he presents the Budget on December 6. He said earlier this month that was a commitment under the EU/IMF programme to VAT increases, though not above 23%. Michael McGrath, Fianna Fáil's finance spokesman, called on Minister Noonan to make a statement to the Dáil on the issue. "If this proves to be true, it would be a staggering and unprecedented breach of faith with the Irish parliament and Irish people on budget plans," he said. Sinn Féin finance spokesperson Pearse Doherty called on Taoiseach Enda Kenny to give a report to the Dáil on his meeting with German Chancellor Angela Merkel yesterday - including exactly what details and documents he gave to his German counterpart. "The increase in the VAT has already been outlined in the Memorandum of Understanding. However, having it discussed by a German budget committee undermines the Irish Parliament," Mr Doherty said.